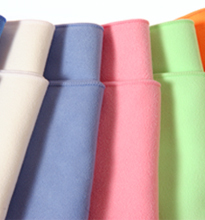 This cloth is the same as our #382 Silky Microfiber Cloth except it has anti-bacterial properties. It picks up 99% of germs. Great for wiping down PDA's such as tablets, cell phones also great for medical touchscreens and cleaning. These are 6x7" with zig zag edging. Uses include: Lens cleaning, cameras, tablets, LCD displays, laptops and much more! These can be used for promotional use as well. 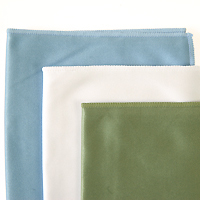 Cloth Size 6" x 7"
Shipping Weight each 10 pack: 3.2 oz. 100 pack (others): 2 lbs.